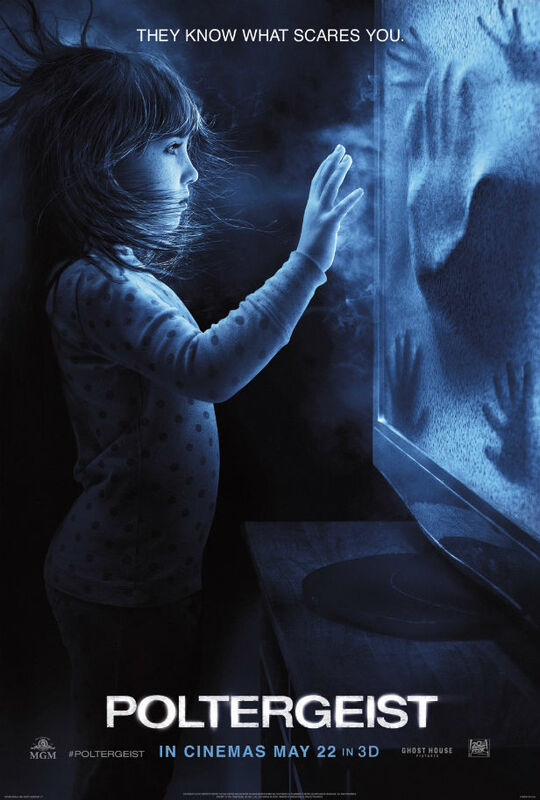 Poltergeist starring Sam Rockwell and directed by Gil Kenan and produced by Sam Raimi was a horror movie remake that disappointed me in many ways. The movie was supposed to be a reboot of the haunted house classic Steven Spielberg film, starring JoBeth Williams and Craig T. Nelson, but I just couldn’t get over how badly it was done. There was nothing authentic about this film, and the writers did nothing but add some overrated special effects and overuse the original script. The names of the characters were changed for some reason, and I found that the actor’s performances were weak. The mood of the film was disappointingly mellow, and for me there was no real fear that the characters displayed. For this to have had Sam Raimi’s name behind it, I was expecting so much more. I think that the film could have been done so much better if Sam Raimi would have had complete creative control in addition to the writing. The casting and storytelling was just all wrong, and I hope that the next horror I see will make up for this one. The only two positive things I have to say was that the scene where we were able to see how the other realm or alternate dimension looked was good, even though I also think that the drone going into that realm was out of place. Technology should be dead in this this case. (I believe that was Raimi’s influence, good idea but it just wasn’t delivered creativity.) I also thought the scene with the family trying to leave the house was good. They are sitting in their SUV and are suddenly dragged back in through the garage as the house becomes consumed by the portal. That was an interesting add on to the movie. Throughout the movie I kept calling the little girl “Carol Anne and was comparing the remake with the original. It was so hard not to. The ghost hunter Carrigan Burke played by Jared Harris didn’t do much for me, but prove that the writers tried too hard with making the movie fit into the modern world. The paranormal research team was horrible, and at this point I can’t write anymore bad things about this movie. Wait, yes I can, it was in 3D which was an excuse for theaters to charge more money than necessary. It didn’t add any depth to the movie at all, just a dent in my purse. Not worth seeing it, but if you must as a fan of horror, wait until it’s out on cable and you have nothing else better to do. I gave this movie two stars just because of the two scenes I liked and because I like Sam Raimi.